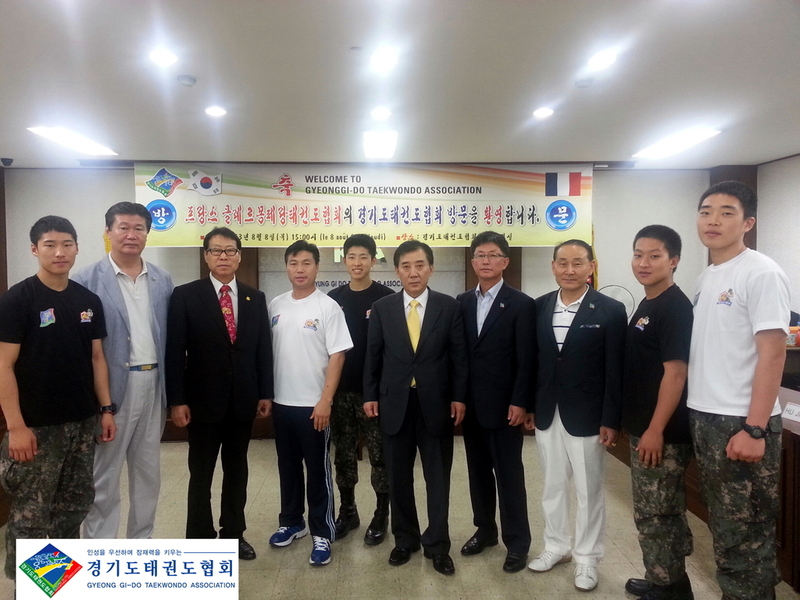 3 staffs and 12 players of France AuvergneClair Monteranc Taekwondo Association came to Korea on July 20th fortheir local training. 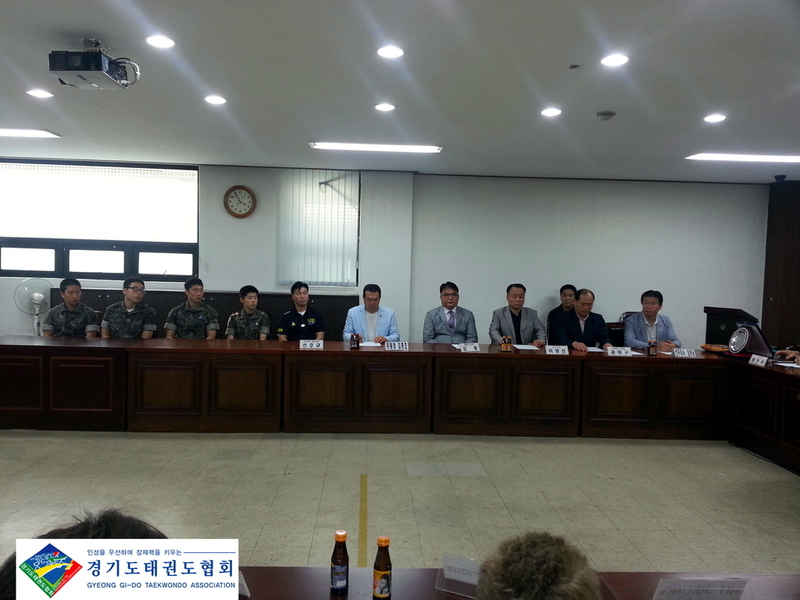 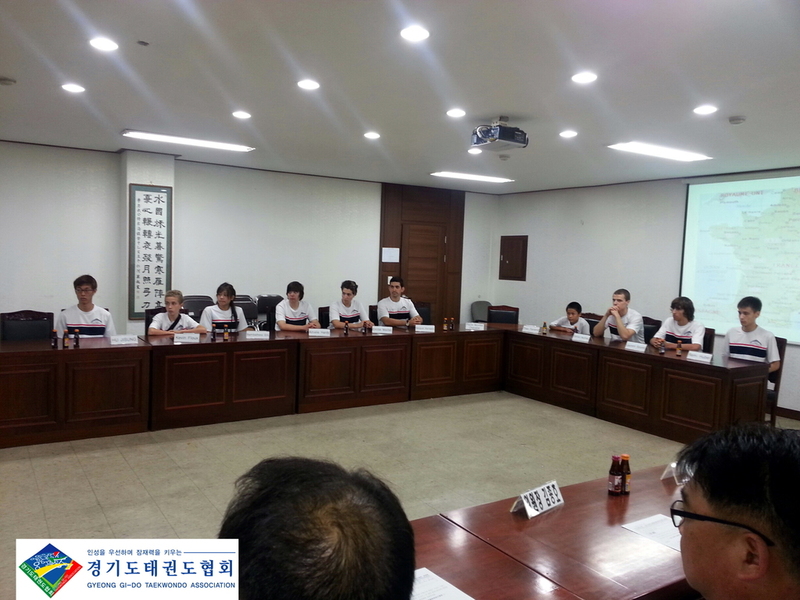 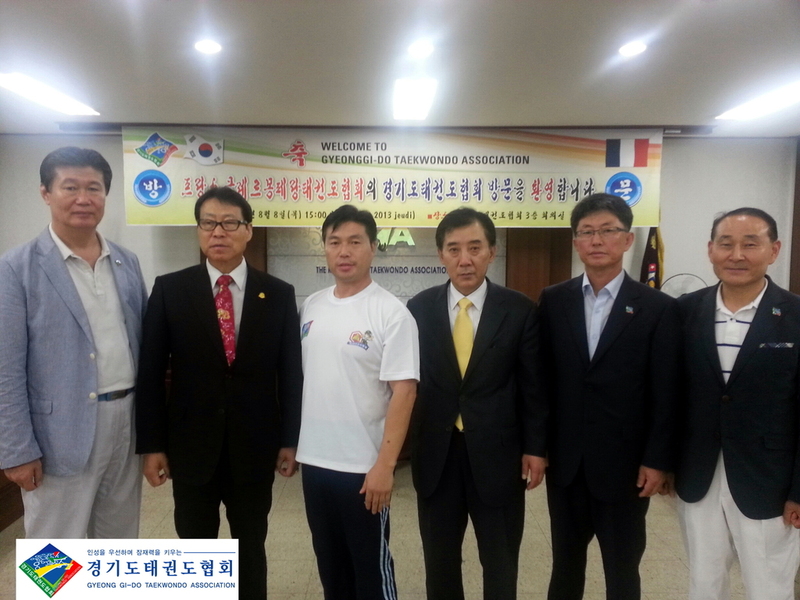 While having their training at Kyungmin University inUijeongbu, they visited Gyeong-Gi-do Taekwondo Association. 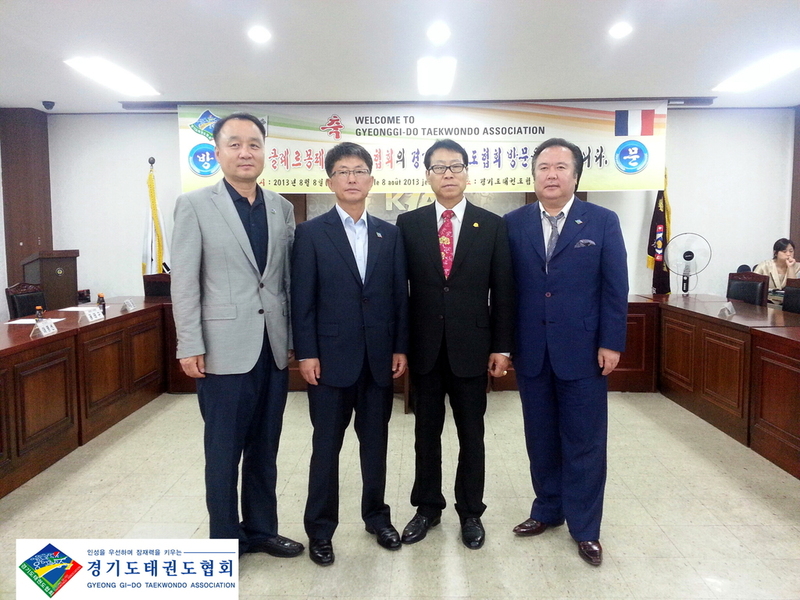 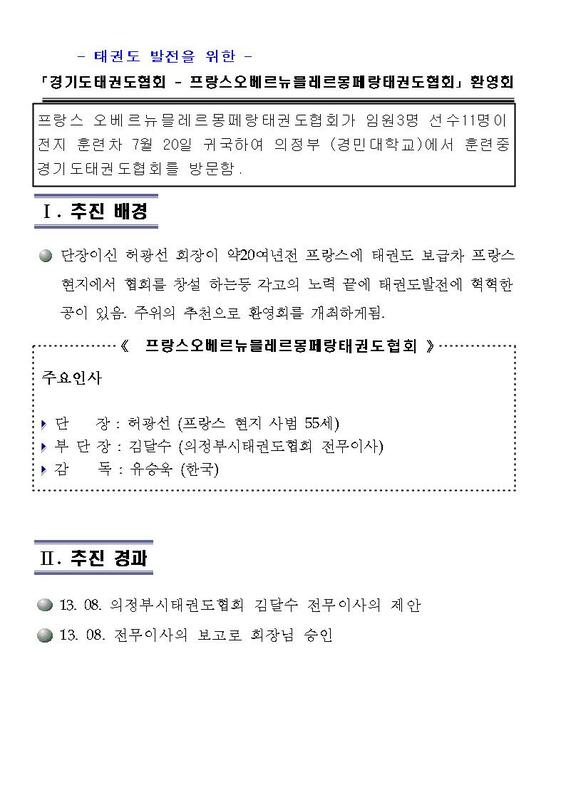 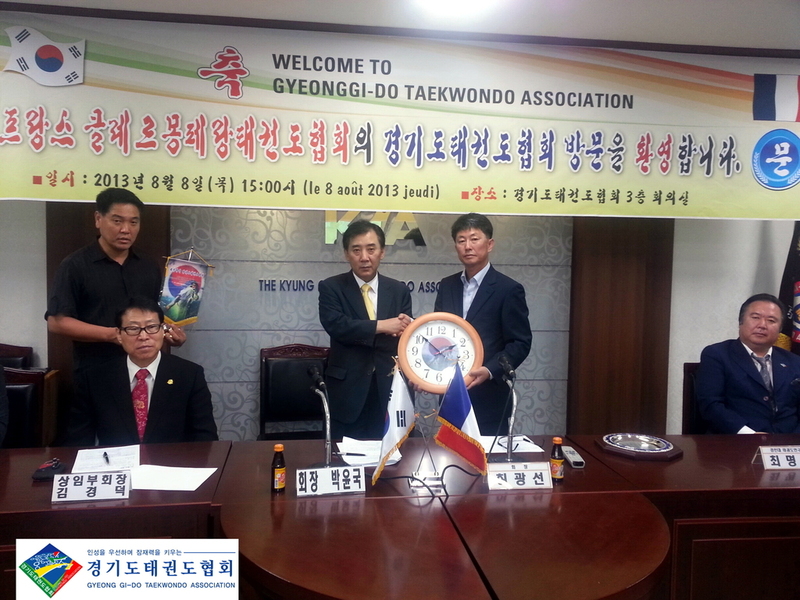 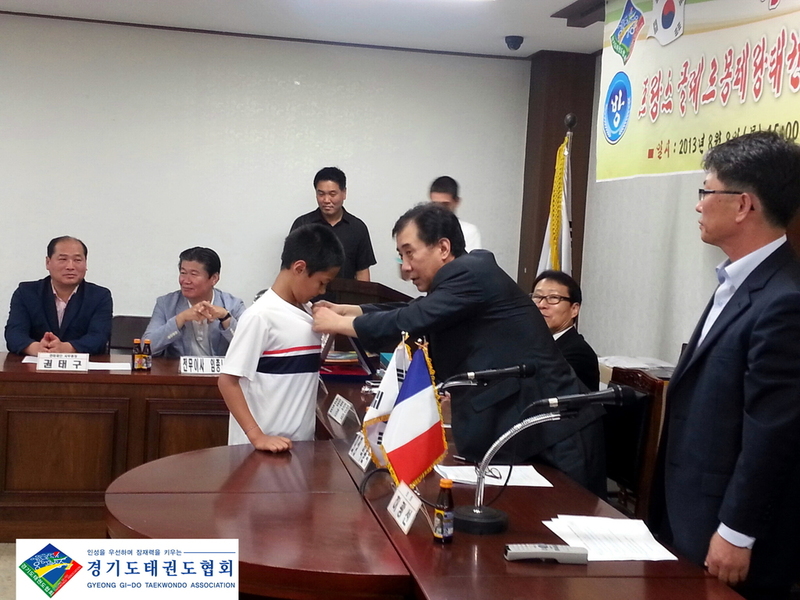 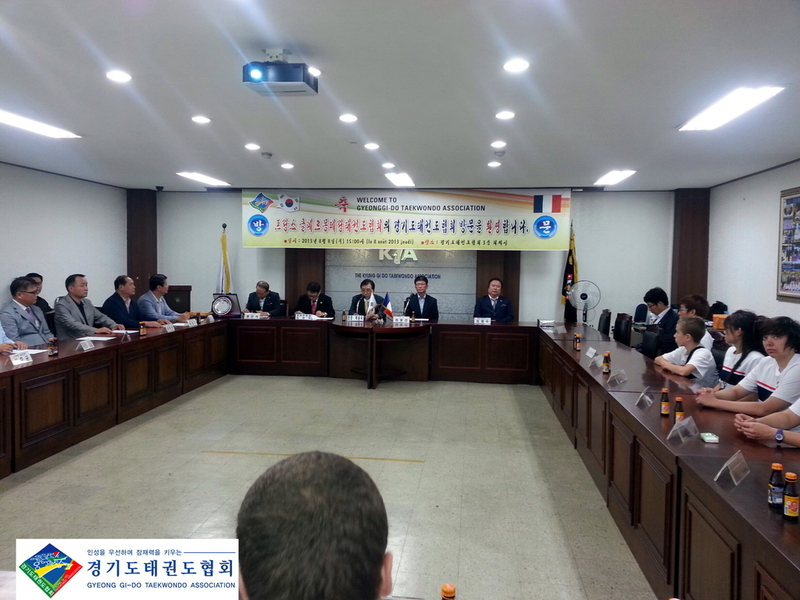 - President Heo Gwang Seon established an associationin France in order to distribute Taekwondo there. 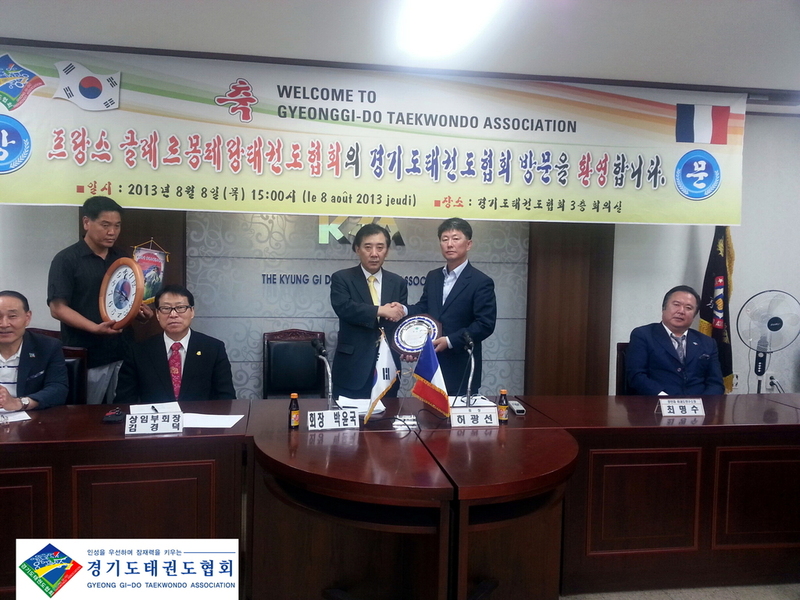 Through various kinds ofeffort, he has made a great contribution to the development of Taekwondo. 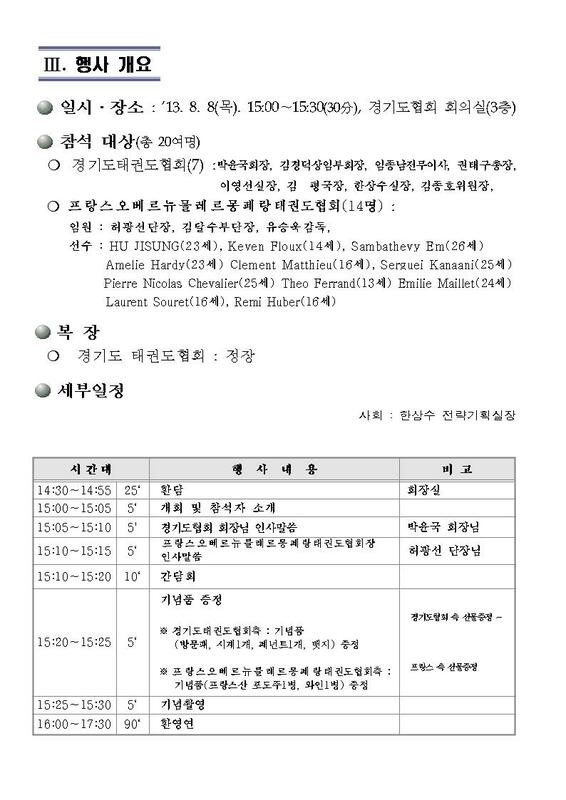 Thewelcome party is held based on other people’s recommendations.